About 75 people attended the all-day hearing at Talking Stick Resort near Scottsdale. It was the second of four across the country to secure testimony and information so the task force can generate policy recommendations for Attorney General Eric Holder. In December, the committee was in Bismarck, N.D. The final two hearings are scheduled in Fort Lauderdale, Fla. and Anchorage, Alaska. Read more about the task force meeting at the Casa Grande Dispatch website. We’ve come together today – from communities throughout the southwest and from across the country – to address a serious and urgent problem: the problem of violence and its effect on American Indian and Alaska Native children. We know that more than 60 percent of all children in the United States are exposed to some form of violence, crime, or abuse, ranging from brief encounters as witnesses to serious violent episodes as victims. Almost 40 percent are direct victims of 2 or more violent acts. And for our children who are American Indian and Alaska Native, current research doesn’t give us a complete picture of its scope, but we know that they native are particularly vulnerable to encountering violence and trauma. A 2008 report by the Indian Country Child Trauma Center calculated that native youth are two-and-a-half times more likely to experience trauma when compared with their non-native peers. 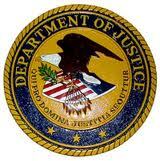 Read the full transcript at the Department of Justice website. This entry was posted in News and tagged Arizona, Department of Justice, Tony West. Bookmark the permalink.